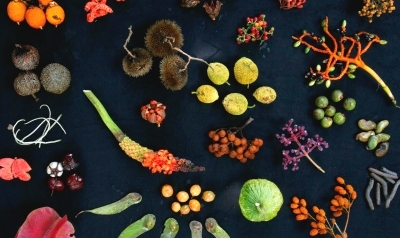 How can satellites monitor biodiversity? Satellite data can be used to estimate deforestation, to estimate land cover changes in specific ecosystems, to track fires in near real-time, to monitor the reduction of a specie habitat, etc. All these satellites observations give information on ecosystems health and biodiversity levels. 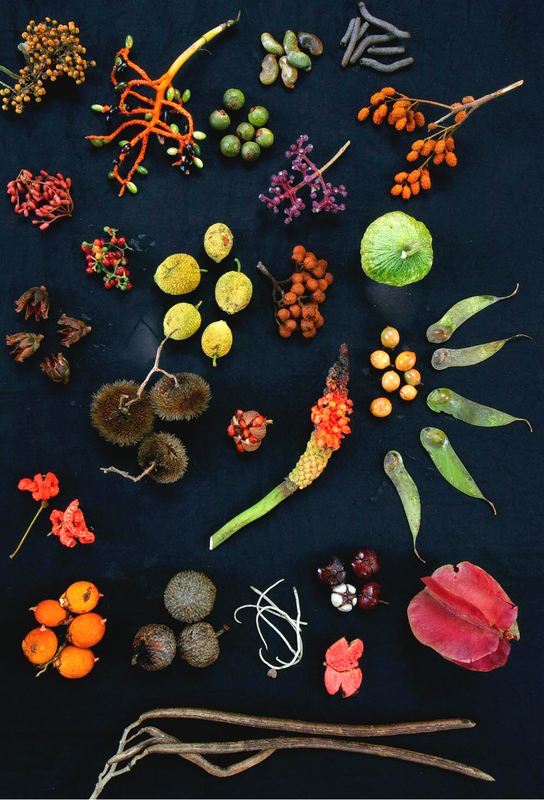 Forest fruits from Barro Colorado Island, Panama. Source: Wikimedia Commons, Christian Ziegler.